Obituary for Theresa B. 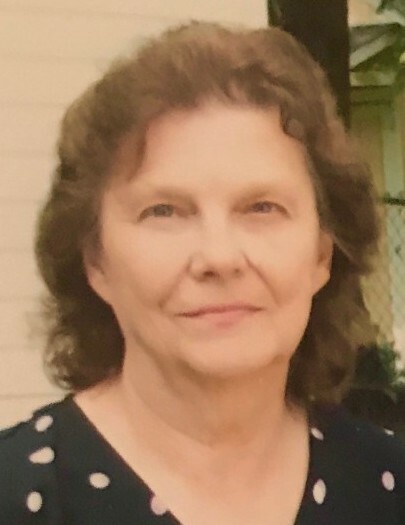 (Smith) Mocarski | Shore Point Funeral Home and Cremation Services, Inc.
Theresa B. Mocarski, 78, of Toms River, New Jersey, passed away peacefully surrounded by her loving family on Wednesday, January 23, 2019 at Community Hospital in Toms River. She was born Theresa B. Smith on April 21, 1940 in Jersey City, New Jersey, where she grew up, was married, and raised her family. In 2004, Theresa and her husband moved to Sidney Center, New York and in 2012 relocated to Whiting, New Jersey. Recently, they settled in Toms River. She was predeceased by her parents, Walter and Loretta (Grocki) Smith. Theresa is survived by her beloved husband of 59 years, John Mocarski, her loving sons, John Mocarski and his wife, Janice, of Accord, New York, Kenneth Mocarski and his wife, Barbara, of Howell, New Jersey, Brian Mocarski and his wife, Amy, of Hazlet, New Jersey, and Mark Mocarski and his wife, Jane, of Hazlet, New Jersey, along with her dear siblings, Bernadette Smith, Thomasina "Cookie" Paczos, and Michael Smith, and her 8 cherished grandchildren and 4 adored great grandchildren. Theresa will be deeply missed, but never forgotten. Family and friends are invited to visit on Saturday afternoon, January 26, 2019 from 2:00 to 6:00 PM at the Shore Point Funeral Home and Cremation Services, Inc., 3269 State Highway/Route 35 North, Hazlet, New Jersey 07730. A prayer service will be offered at the funeral home at approximately 2:30 PM. In respect of Theresa's wishes, she will be privately cremated. In lieu of flowers, donations in loving memory of Theresa to The Table at Woodstock Soup Kitchen, www.thetableatwoodstock.org, or a favorite charity of your choice would be greatly appreciated. For information, directions, or to send condolences to the family, please visit, www.shorepointfh.com.